At the invitation of Mr. Emmanuel Macron, President of the French Republic, TT.SS.HH. 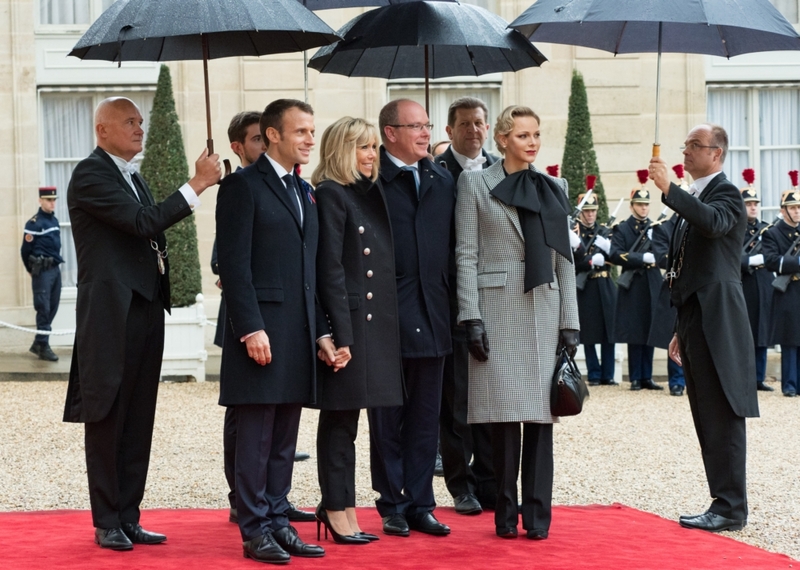 Prince Albert and Princess Charlene attended the days of commemoration of the Armistice of 11 November 1918, marking the end of the First World War (1914-1918). On Saturday 10 November in Paris, Prince Albert and Princess Charlene were invited to dinner at the Musée d'Orsay, alongside the 60 Heads of State and Government present for the occasion. On their arrival, the Princely Couple was welcomed by Mr. Jean-Yves le Drian, French Minister for Foreign Affairs and Mr. Franck Riester, French Minister of Culture. 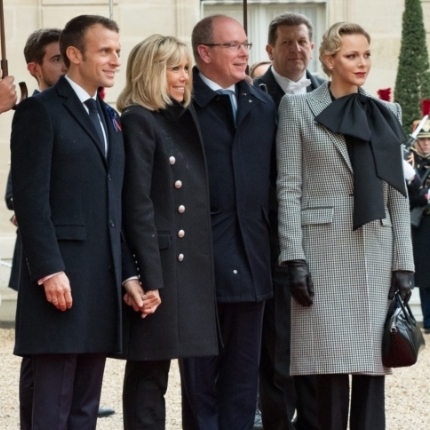 On Sunday 11 November, Their Serene Highnesses went to the Elysée Palace before going to the Arc de Triomphe by bus, where the "International Ceremony of 11 November" took place in the presence of 3,400 guests from France, overseas territories and abroad. Punctuated by musical moments, speeches and songs, this solemn and moving ceremony concluded with Ravel's Boléro, performed by the European Union's Youth Orchestra. At the end, Prince Albert returned to the Elysée Palace, where a lunch had been organised for the Heads of State and Government. Their spouses, for their part, had been invited to the Château de Versailles for a lunch chaired by Mme. Brigitte Macron, followed by a tour and a concert given by the Vienna Philharmonic Orchestra. In the afternoon, Prince Albert participated at the "Paris Forum for Peace" in the Villette and delivered a speech pointing out that Monaco has always been a strong advocate of Peace.